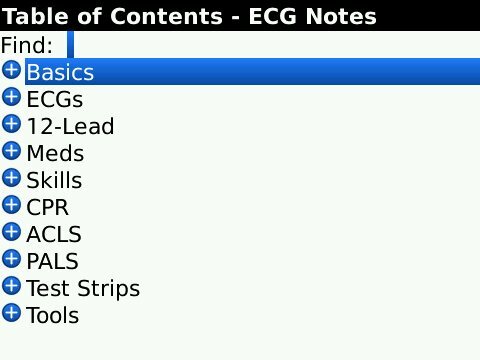 iMedicalApps has previously reviewed the SkyScape ECG Notes: Interpretation and Management Guide for the iPhone. 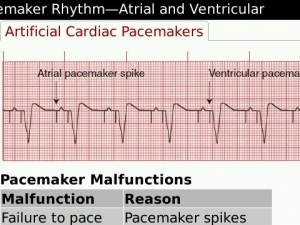 The updated version 3.0 of this app was recently released into the BlackBerry App World (their version of the “app store” on September 2011). 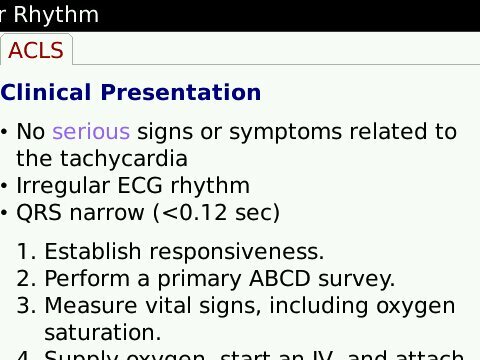 As part of the SkyScape software range of products, you have to launch the software through the BlackBerry SkyScape Medical Resources environment (app); which coordinates all the SkyScape purchases into one simple app as a launcher. 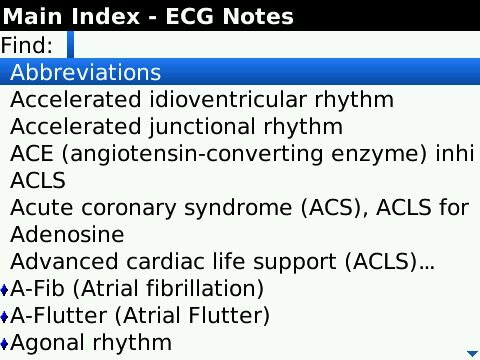 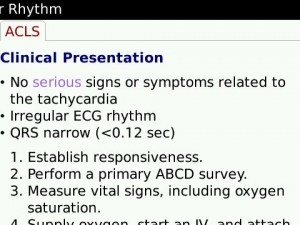 Opening up the ECG Notes app you can see the Main Index which lists all the topics. 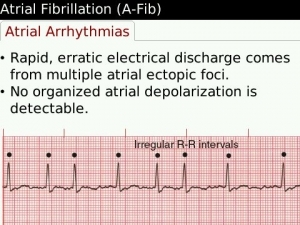 It is rather intimidating for someone that is opening up the app for the first time! 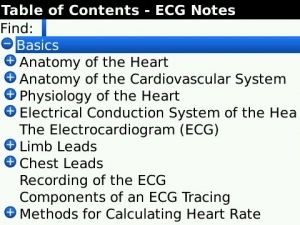 You can then select to enter the Table of contents. 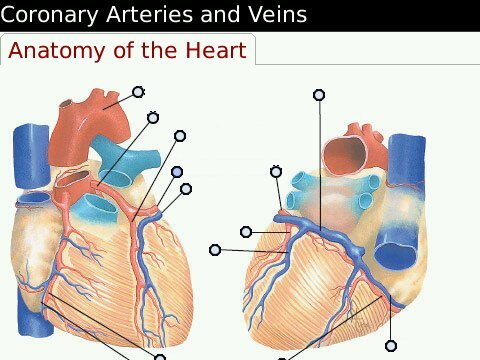 One special mention that this app should contain is the presence of the basic anatomy of the cardiovascular system. 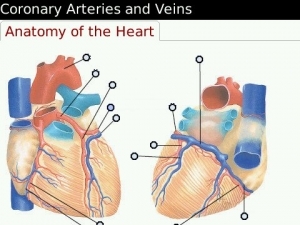 In the picture below, see the little circles, each can be selected to reveal the artery & vein’s names. 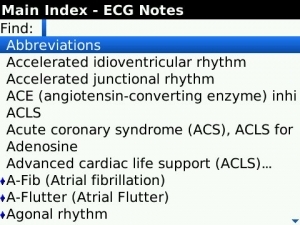 In terms of ECGs rhythms themselves, they can be selected in one of two ways, either via the Main Menu expandable trees, or via the index. 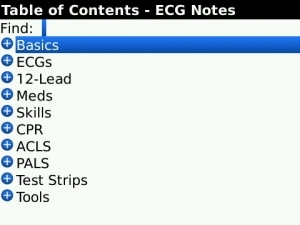 The ECG rhythm strips in the teaching modules will have the main irregularities marked. 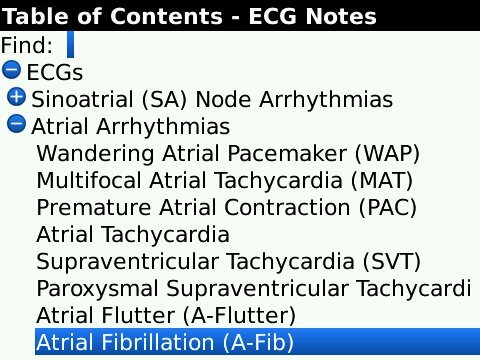 Importantly, the clinical tips are useful for the physician in training to add to their repertoire not easily gained by reading a book alone. 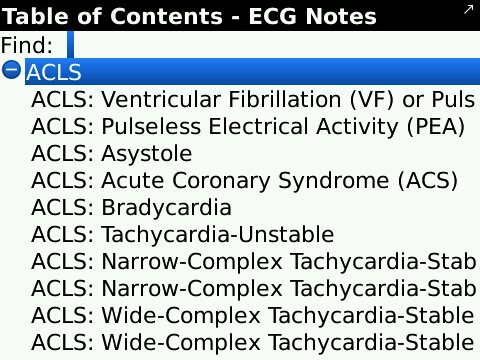 These marked ECGs are extremely useful so that the abnormal sections of the ECGs are clearly seen. 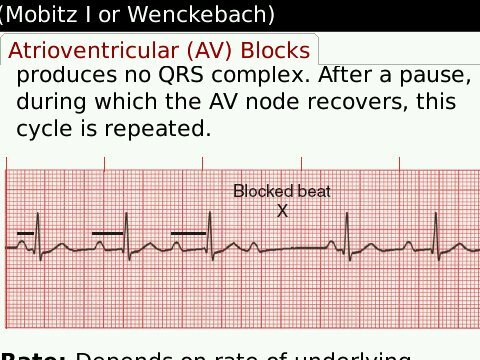 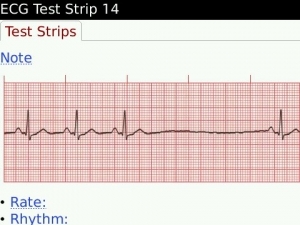 This is unique among the ECG apps thus far reviewed for the BlackBerry. 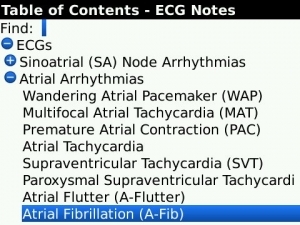 However, the ECGs themselves cannot be expanded upon like other ECG apps. 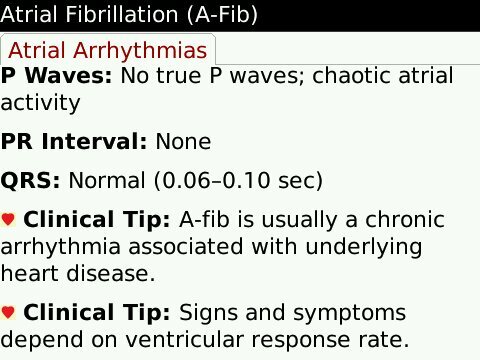 This means that sometimes on the BlackBerry screen it is hard to make out the abnormality present even with the markings. 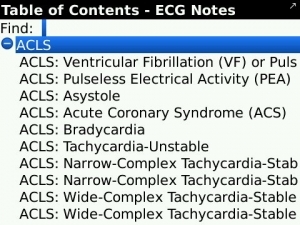 The ECG app has guidelines on the various ACLS protocols to follow for each cardiac event. 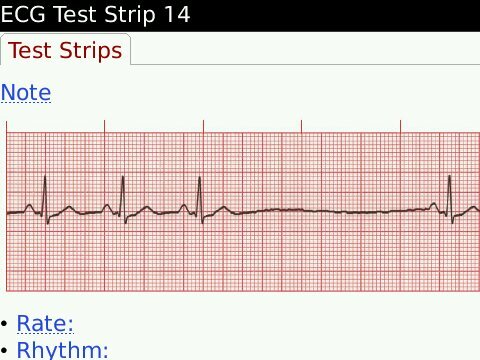 Also, the ECG app has a useful test section which contains 51 test strips to go through and analyze, and each individual sections; P wave, T wave etc, can be analyzed in turn and the answers can be revealed at the end. 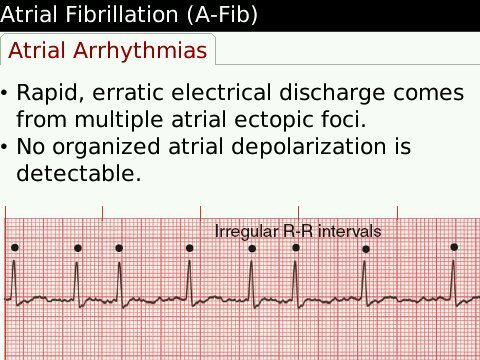 This app is best suited for physician residents and students who wants a quick crash course in ECG learning with the addition of abnormalities marked on the ECGs rhythms. 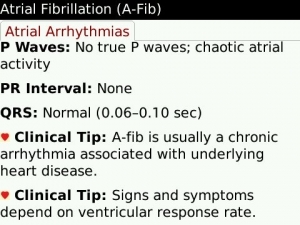 Especially helpful when on cardiology rotations or working with cardiologists. 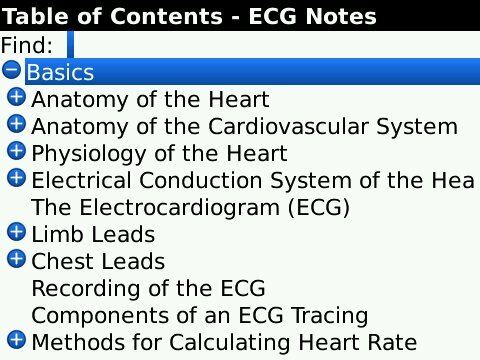 The quiz provides valuable learning points to consolidate the knowledge.